We are pleased to announce that, with the support of Global Affairs Canada with whom we have had an exclusive partnership for the third consecutive year, we will be launching three new missions aimed at Canadian independent video game companies looking to accelerate the commercialization of their products abroad. Selected companies will be given the chance to take part in leading international video game events and showcase their latest projects/titles to thousands of industry professsionnals and journalists worldwide. 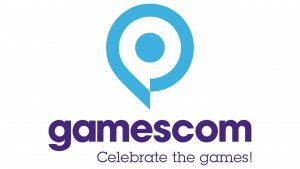 Applications for the first mission (Devcom/Gamescom 2018, Germany) are now open. 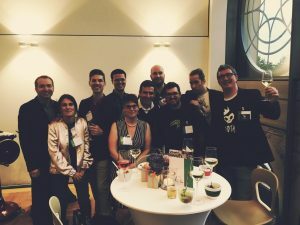 As part of the CEIM mission at Gamescom last year, we had the opportunity to meet with 17 publishers and pitch our current title Ship Out of Luck for additional financing and marketing support… We are now in active talks with several publishers which wouldn't have been possible without the connections and support from CEIM. 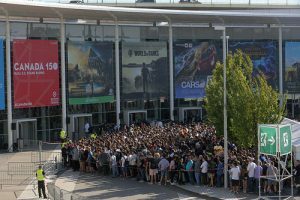 Gamescom resulted in 14 meetings with European publishers and members of the press. Those meetings were extremely productive and will likely lead to the signing of new contracts and partnership agreements with key players. As Canada was the official partner country last year, our delegation which consisted of 22 creators, of which 14 were from Quebec (Amarok Games, Berserk Studio, Bishop Games, Breaking Walls, Chainsawesome Games, Clever Plays, iLLOGIKA, Nine Dots Studio, Parabole, Playmind, Polymorph Games, PVP Animation, Studio Gingear and Triple Boris), benefited from great international visibility and networking opportunities with leading publishers and industry experts. Bishop Games and Spooky Squid Games were among those selected to exhibit their titles (Light Fall et Russian Subway Dogs respectively) at the Indie Arena Booth which took up 1000 m² of the show floor and featured over 80 games from 24 countries. Polymorph Games unveiled its very first game, Foundation, a medieval city builder which won the 2017 edition of Catapulte (see Quebec International press release).